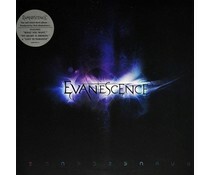 2017 EU reissue on 180g LP - Evanescence is the self-titled third studio album by the American rock band Evanescence. whit hits: 'What You Want,' 'My Heart Is Broken' en 'Lost In Paradise'. 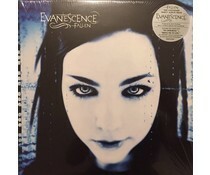 2017 EU issue on 180g LP -The group's colossal double Grammy-winning 2003 debut Fallen = with hits as "Tourniquet" and the hectoring, rap-infused nu-metal of "Bring Me To Life" to piano-driven power ballads such as "My Immortal" & "Whisper."